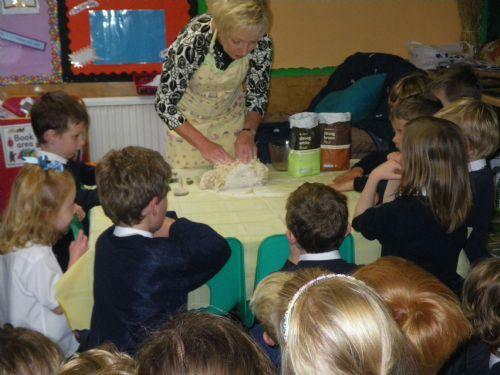 We had a visit from Mrs. Adamson's sister to help us make some bread! 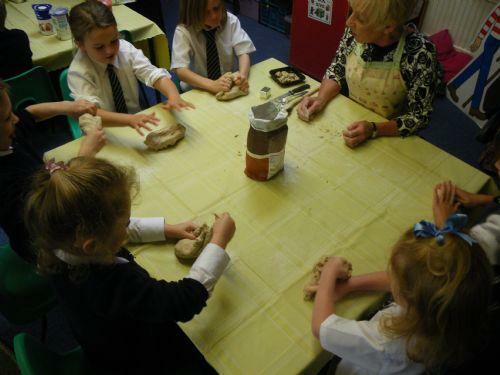 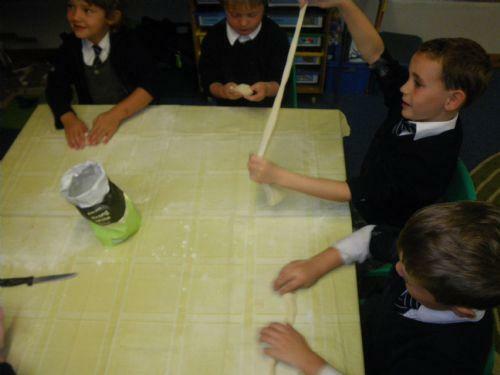 We got the chance to make our own bread. 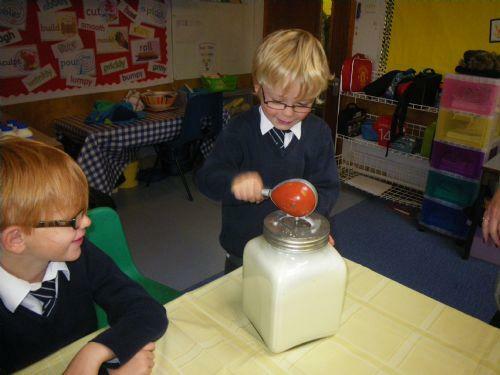 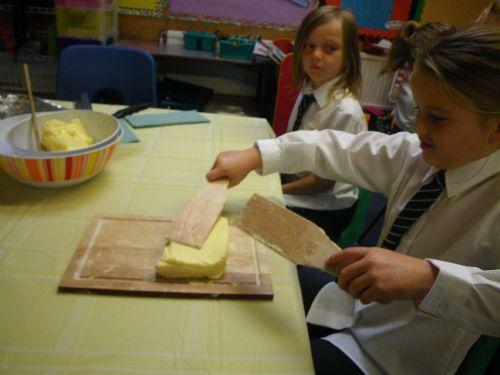 But we couldn't have bread without making some butter to go with it!